Julien DENORMANDIE (Secretaire d Etat aupres du Ministre de la Cohesion des territoires) et Delphine GENY-STEPHANN, Secretaire d Etat aupres du Ministre de l Economie et des Finances, se sont rendus au Centre de Conferences Pierre Mendes-France (Ministere de l Economie et des Finances, Bercy) pour le lancement de la tournee des achats impactants (rencontres entre acheteurs de grands groupes et entreprises a impact social, sous la forme de speed meeting). Paris, France, le 13 Avril 2018. 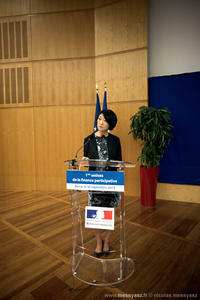 Julien DENORMANDIE (Junior Minister to the Minister of Cohesion of the Territories) and Delphine GENY-STEPHANN, Junior Minister to the Minister of Economy and Finance, went to the Conference Center Pierre Mendes-France (Ministry of the Economy and Finance, Bercy) for the launch of the tour of impactful purchases (meetings between buyers of large groups and companies with social impact, in the form of speed meeting). Paris, France, April 13, 2018. Joe KAESER (PDG Siemens Monde) et Bruno LE MAIRE. ECONOMIE : Bruno LE MAIRE, ministre de l Economie et des Finances, a reuni, le 22 mars 2018, le comite de suivi du rapprochement entre Alstom et les activites mobilite du groupe Siemens, au ministere de l Economie et des Finances, afin de faire un point d avancement de l operation et de confirmer et partager les engagements pris par Siemens aupres de l Etat francais. 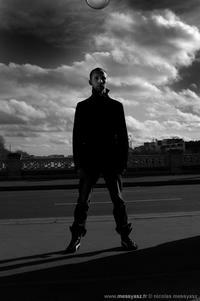 Paris, France. 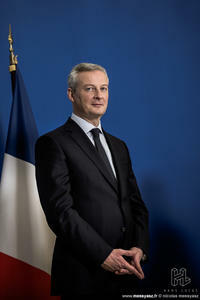 ECONOMY: Bruno Le Maire, French Minister of Economy and Finance, met on March 22, 2018, the committee monitoring the merger between Alstom and the mobility activities of the Siemens group, the Ministry of Economy and Finance, to make a point of progress of the operation and to confirm and share the commitments made by Siemens to the French State. 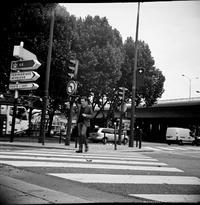 Paris, France. Benoit HAMON (Parti Socialiste, PS), candidat a l’election presidentielle Francaise, ancien Ministre de l’Education, a tenu un grand meeting au Palais des Sports de Bercy (AccorHotels Arena), le 19 Mars 2017, Paris, France. Benoit HAMON (PS), candidate for the French presidential election, former Minister of Education, held a large meeting at the Palais des Sports de Bercy (AccorHotels Arena), March 19, 2017, Paris, France.